EtsyPHAT's Plant Peeps: Time to Try Something New in the Garden? Time to Try Something New in the Garden? Why not go out on the limb this year and try something new in the garden? 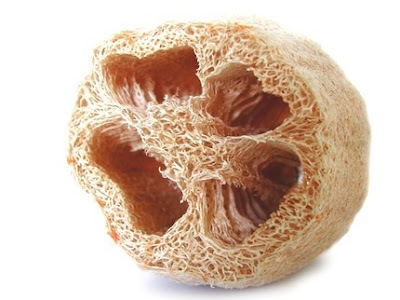 Grow your very own Organic Loofah (luffa) Sponge, available at Smokymist Gardens on Etys.com. You can eat them, but they come in more handy in the shower! Loofah sponges are extremely easy to harvest and prepare for use. Just watch them grow during the summer, pick when the loofah is ready, loosen and peel the skin back, rinse and sun dry. Voila!! A homegrown back scrubber!!! Photo by Jerry Crimson Mann on WikiCommons. I used to grow them, but now I just buy raw loofah on the internet. lost my garden by moving to deed restricted community.